In a world of comfort food and oversize portions, weight loss can be a constant battle. The temptation to use medications or supplements to boost weight loss is often great, but so are the health risks. Adderall and Concerta are prescription medications sometimes used off-label as weight-loss aids. To prevent serious complications, never use Adderall or Concerta that was not prescribed to you by a doctor. Adderall is a prescription drug containing a mixture of amphetamine salts. It is often used to treat the symptoms of attention deficit hyperactivity disorder and sleep disorders like narcolepsy. Concerta is a long-acting form of methylphenidate prescribed for many of the same conditions as Adderall. Both drugs act on the central nervous system to produce their effects, which include increased mental focus and alertness. As with other prescription drugs, Adderall and Concerta may be prescribed off-label for other purposes as your physician sees fit. Both Concerta and Adderall are capable of causing weight loss in some people. According to eMedTV, up to 11 percent of Adderall users experienced weight loss on the drug, while roughly 36 percent reported reduced appetite as a side effect. 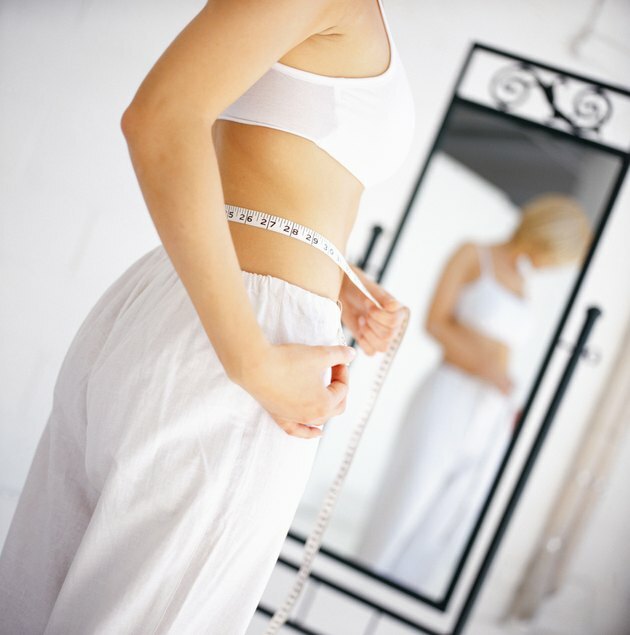 Weight loss is also a common side effect of Concerta, with up to 6.5 percent of users losing weight on the drug. Stimulants like Adderall and Concerta are believed to induce weight loss by suppressing appetite, though some users also experience nausea, diarrhea or other side effects that contribute to weight loss. Like other drugs in the stimulant class, Adderall and Concerta can cause serious health problems when abused. The National Institute on Drug Abuse warns that stimulants can be highly addictive and may cause serious cardiovascular complications like high blood pressure and stroke. The desire to lose weight is one of the main reasons people begin abusing stimulants like Concerta and Adderall, the institute notes. Chronic abuse of stimulants can lead to withdrawal symptoms like depression, fatigue and disturbed sleep upon cessation, making it difficult to quit. Adderall and Concerta are not substitutes for healthy living habits like regular physical activity and a balanced diet. Only use Adderall or Concerta for weight loss with your doctor's permission. When taking these medications, follow dosing instructions carefully and do not attempt to alter your daily dose without first asking your doctor. Seek immediate medical attention if you develop rapid heartbeat, blurred vision or other serious side effects while taking Adderall or Concerta.